We recently covered speeding your restful api development with Swagger. The article is really clear on how to use swagger, and I would suggest you read it first before going through this. The article however starts with an API from scratch. But this may not be the case for some of us. I, for instance had an API that was already in existense. 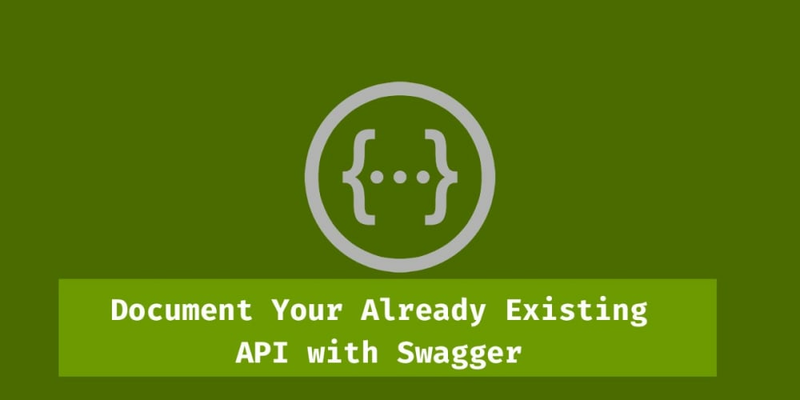 If you were wondering how to leverage Swagger for your already built and hosted API, brace yourself for a short but intersting quick tip read. Build : This involves cloning the Swagger UI repo, making a few tweaks based on your preferences and doing your own build. It will generate a dist folder, which you can then continue to use editing a config file. Clone the Swagger UI repo and install the dependecies. While there is already a dist directory, build deletes everything and recreates the dist directory every time you run it. Open the dist/index.html file in your browser, or better yet, serve the dist folder with httpster. If you are good in CSS, you can do quite some customization for Swagger. I&apos;ll do two quick customizations just to show this. The default swagger header background color is green. Since we are documenting the Open github api, it would be nice to change it to black. And simply change the color to black. Next, we&apos;ll change the title and the logo to reflect use the gitub logo. I did a quick google search for a github logo, and added the url directly to the src attribute of it&apos;s img tag. Before we look at the results of the customization, let&apos;s quickly create our configuration file. Create a new file called github.json in src/main/ directory. NOTE: This file can either be a .json file or a .yaml file. It&apos;s what swagger reads to interpret your API. Yaml file has a different syntax however. NOTE: The key things here are the host and schemes properties. They should show where your api is hosted. Finally, let&apos;s change the loaded configuration file from swagger&apos;s default to our github json. Notice the line url = &apos;/github.json&apos; in the else block. That will load our Github json Swagger config file. Build swagger and run httpster. Let&apos;s edit the github.json file. I won&apos;t go much into the details of the path properties, as Sam had covered them already here. You could also read more about the spec here. But notice my response schema is in-line, I haven&apos;t referenced it anywhere, and I have an example object. We can do a build and open the ui with httpster. When you click on try it out, the api will be called, and you will see the results below the button. This path returns about 30 users from the github API. We&apos;ll quickly add it&apos;s configuration to the config file. Assuming your httpster server is still running, we can edit the github.json file direclty without a rebuild. I&apos;ve left the items property empty, but ideally you could fill in an array of objects based on github&apos;s response, or your API&apos;s response. Refreshing the browser should give this. Once again, you can click on the try it out button, and it should return a response from the API. Our final route to document is getting a user by the username. Let&apos;s add this to the github.json file. This time round we have a parameter, username, and we&apos;ve included it in our json properties. Put in a username you are know about, like scotch and click on try it now. You should see the details of the Github user below the button. We&apos;ve seen how to document an already existing API. If you look closesly, all it entails is editing a config file that is either json or yaml. Swagger UI is also easily customizable, which means you can tune it to your liking and even theme your API documentation based on a predefined scheme, or preference. What&apos;s left now is to just study the Specifications for the config file and you are good to go.